Sweet Stamps- Dreaming of Snow! 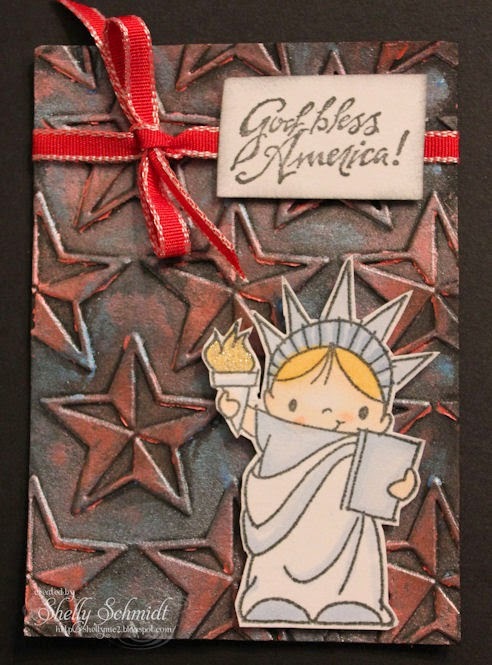 It's Christmas in July at Sweet Stamps- at least on the blog anyway! 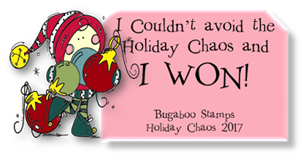 All Christmas stamps are 15% off! 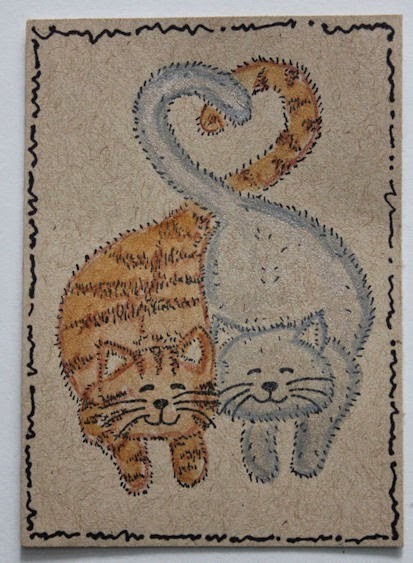 I had fun with one of our older techniques of the month, Embossed Embossing. I brayered Distress Embossing Ink over the raised snowflakes, then used Fantasy Ivory Fine Detail EP over that- it is very sparkly IRL. The image is colored with Copics. The snowflake embellishment is one of the Piccolo accent sets HERE. I embossed the snowflake with Turquoise Lagoon Enamel EP. Circles is the theme at Card Mania for challenge #50. 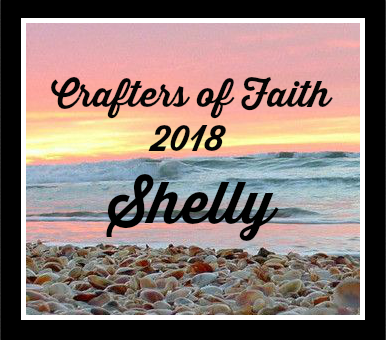 You have 2 weeks to make a card with Circles and join in! Whiff of Joy is the Sponsor for this challenge. I used the sweet digital image from Whiff of Joy called Angel Maya with a Star. I colored the image with Copics. I added Sakura Gelly Roll pen to add shimmer to the wings and the stars. 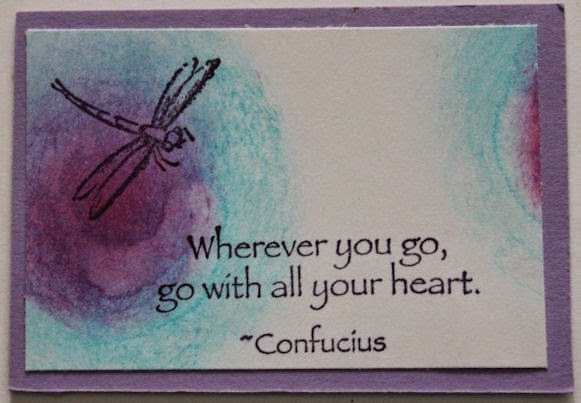 The sentiment is from Create with TLC. 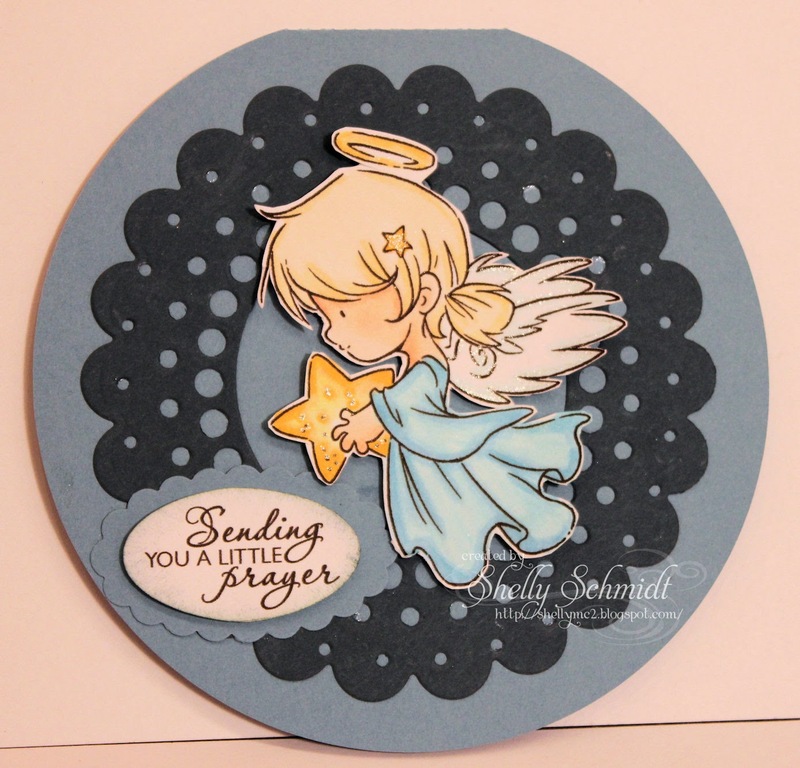 I made this card for an online papercrafting friend who can use a prayer or two right now. I kept it CAS so I can mail it. My P.O. is terrible for charging me extra if there are any lumps or bumps at all! The die with the 'holy' circles is the Large Circle Burst die by Memory Box. I fussy cut the image and popped it up on dimensionals. 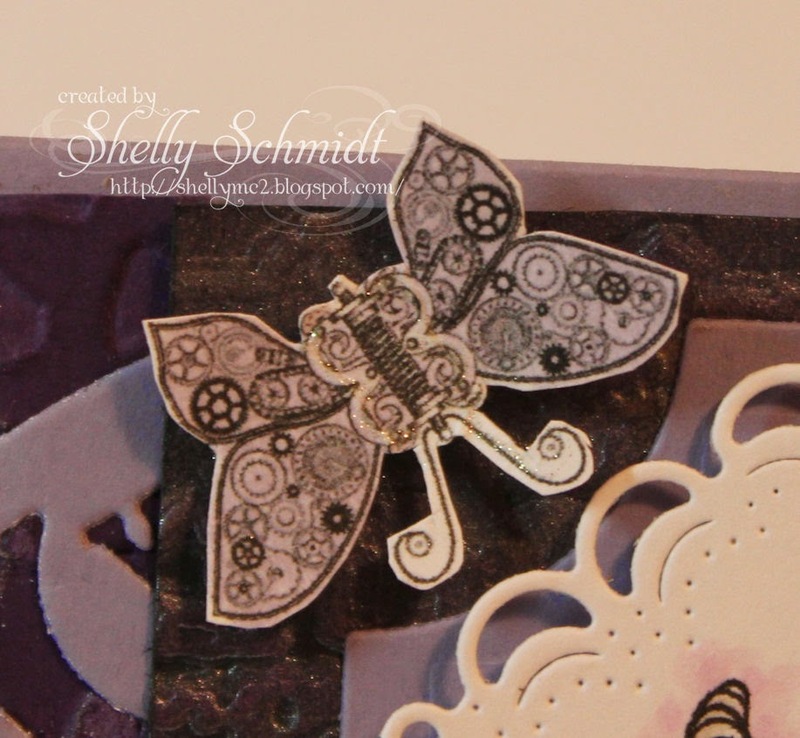 The circle card base is a die from the Silhouette online store- cut with the Cameo. The 2nd TJ ATC swap is back and it was another fun one. The requirement is just to use a TJ technique from a newsletter or any CD. 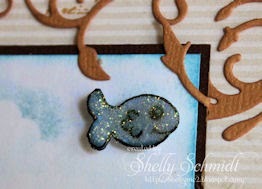 This is the Faux Metallic Gelato technique and the image is Stampendous - colored with Copics, and SU sentiment. This is called the Whitewash Chic technique, also from the Artistic effects CD. Sentiment is Technique Junkies Stamps (formerly known as Stamp Camp). The image is colored with Copic markers- it is a digi from Saturated Canary- she is named Mali. I have not seen the movie and decided to not google her- just let my imagination go with the flow....... 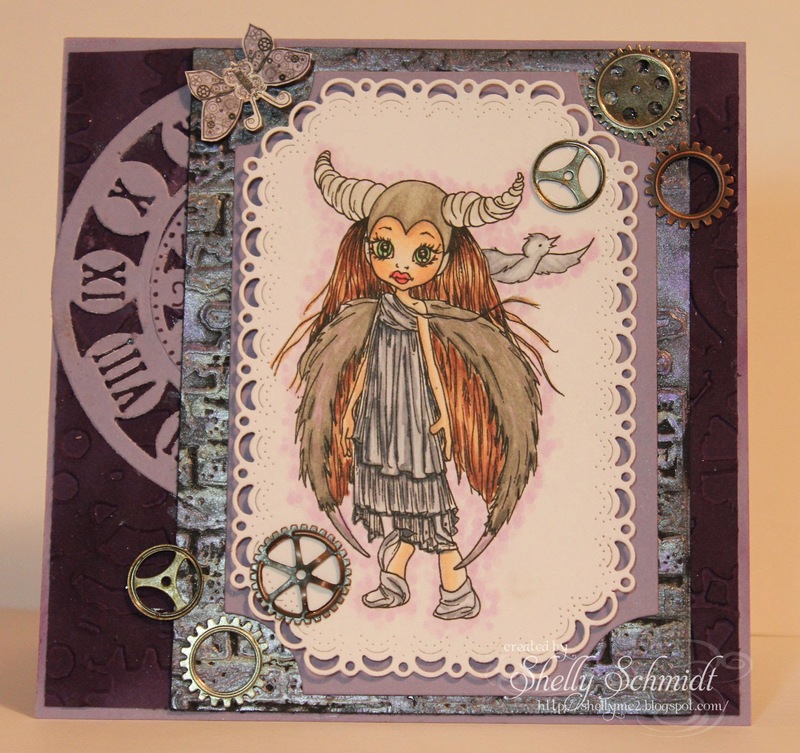 I added a touch of purples in the dress & wings....I had a blast with this card. 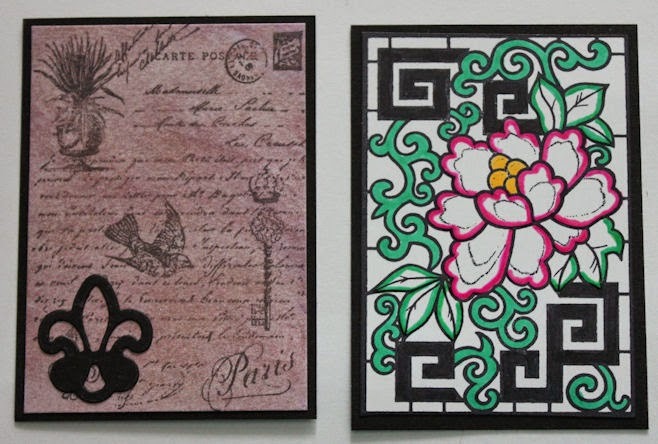 The background eggplant Envy SU cardstock is embossed and Highlighted with SU Eggplant Envy ink. The next layer is Faux Metallic Gelato's from the Technique Junkies new Artistic effects CD. The image is lightly colored with Copics and a touch of Wink of Stella added for shimmer. Thanks for having me ladies- what an honor! 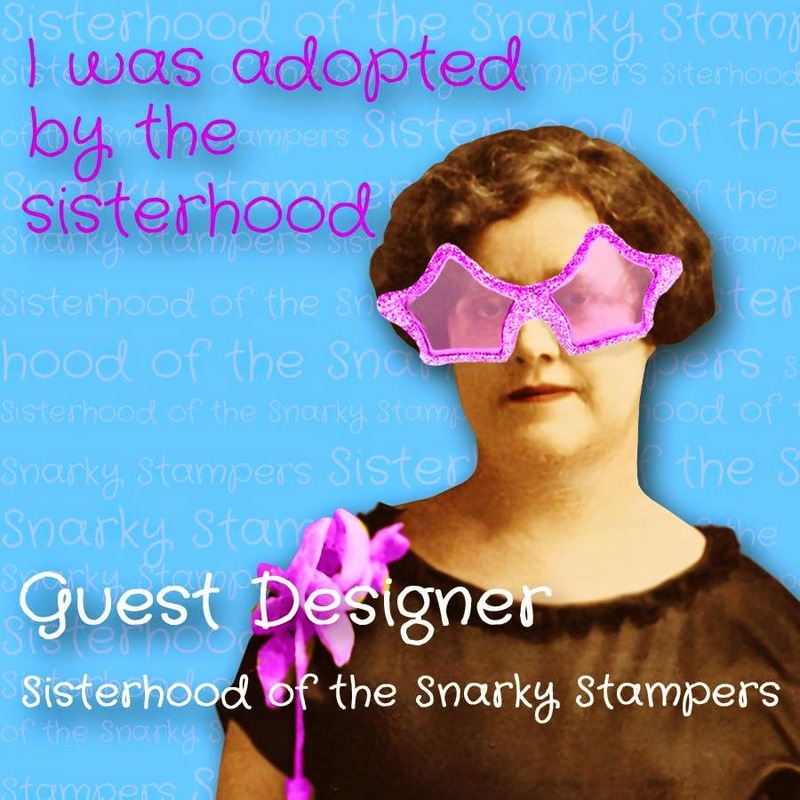 Please stop at the Sisterhood of Snarky Stampers and see what the Snarky Stampers have created for the Steampunk challenge. Simon Says Stamp- Something you should use more- Gelato's! 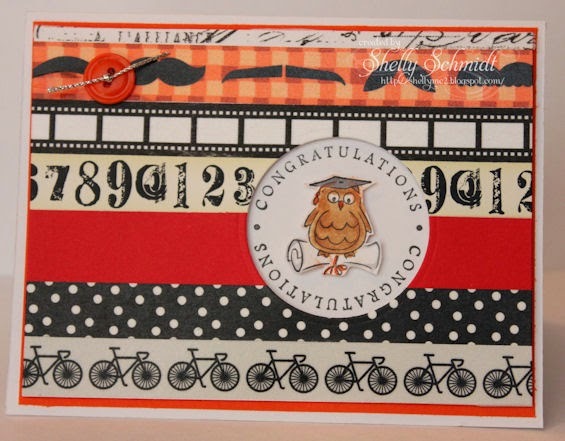 Summer is the theme at Sweet Stamps for our weekly challenge this week. I got out my Watercolors and tried something new from Technique Junkies- Splattered Ombre Watercolors- it is the TJ 'technique of the week'. 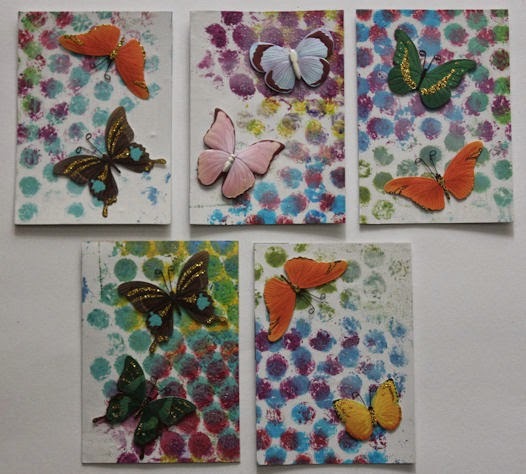 Oh, there is nothing like seeing butterflies in all different colors! 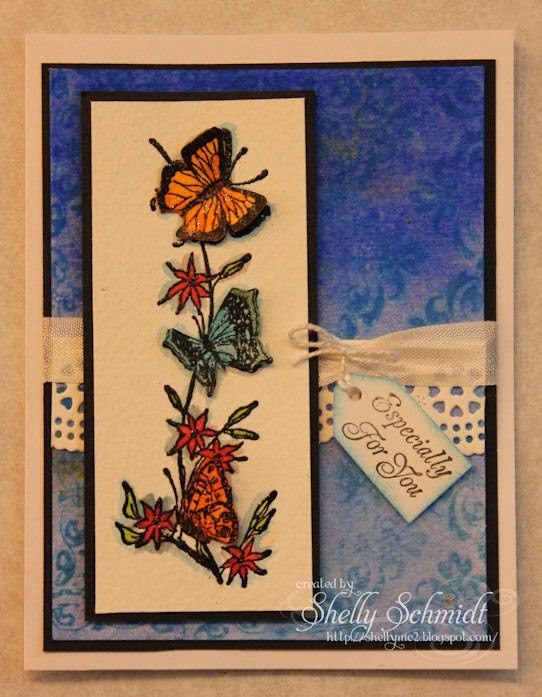 I stamped and embossed the image using fine detail EP, then stamped it again and water colored the butterflies- and added a touch of Wink of Stella shimmer : ). The background technique was done according to the tutorial, then I stamped the elegant corner image in the medium size, and after I was done stamping, I spritzed the page with a tad bit of water to soften up the look. After I was done water coloring the image, I took a touch of the blue Peerless Watercolor and mixed it with a bit of water and aded a little touch of an outline all around the image. We have weekly and Monthly challenges- if you use a Sweet Stamps image, your entry counts twice. The winners are chosen by random.org so everyone has a chance to win! 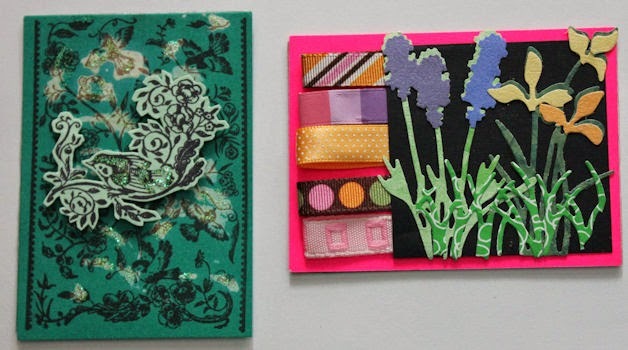 Our Monthly challenge from 6/16-7/14 is Painters tape. 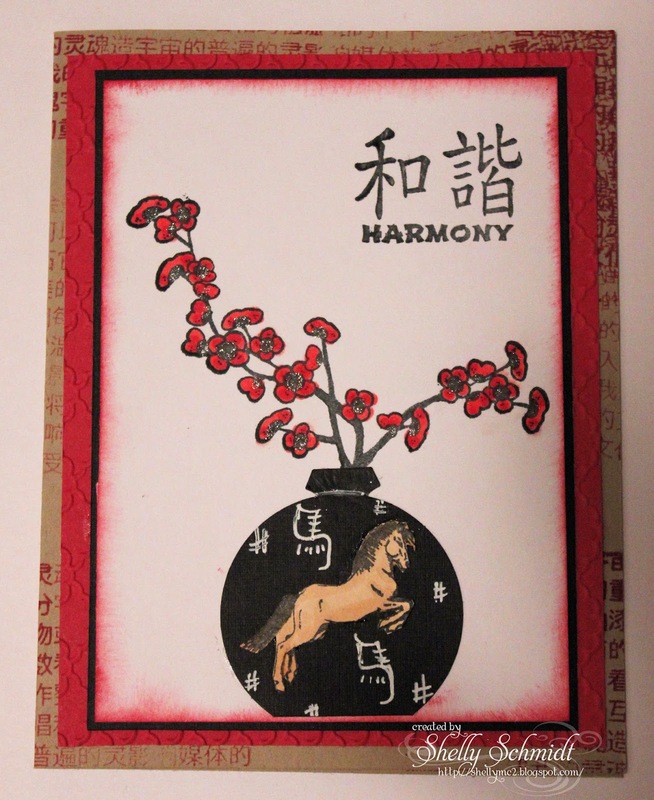 Since it is the Year of the Horse in China, I made a vase with a circle punch and added the top of the SU ornament punch. I highlighted the vase with a white paint pen- and that is a challenge this month at the Oriental Stamp Art (aka OSA) Yahoo Group. I colored the flowers with Copics and added Sakura Gelly roll pen for shimmer in the centers of the flowers. The background Kraft cardstock also has Kanji stamped onto it. 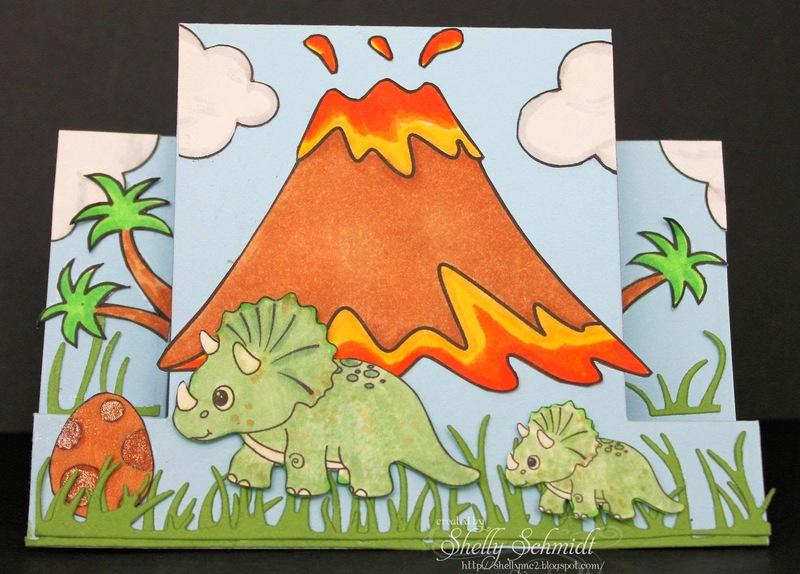 At Tuesday Throwdown the challenge this week is Dino- Mite, aka dinosaurs. The sponsor this week is MyGrafico. The images are all printed, colored with Copics and fussy cut. I used the Copic Texturizing technique to add texture using the "0" Copic refill and a towel. I made a center step card using a die-HERE. The grass is a Cheery Lynn die HERE. I have a few Grad cards to make this year, so had fun using the Reverse Washi technique by the Technique Junkies. 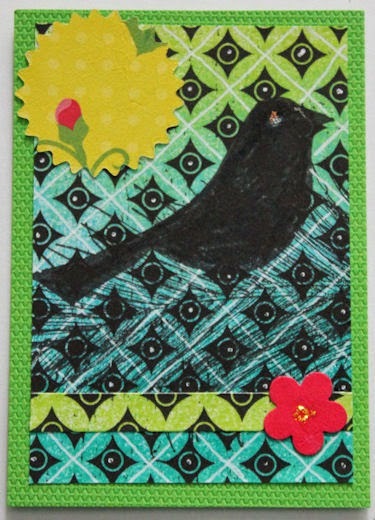 I love the fun technique and the background of the various Washi tapes. I used school colors Orange and Black. The images are by Denami Designs. The Congrats circle is separate from the owl. I fussy cut the owl and popped it up. 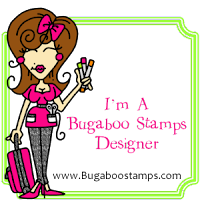 Anything Goes is the theme at Sweet Stamps for our weekly challenge this week. 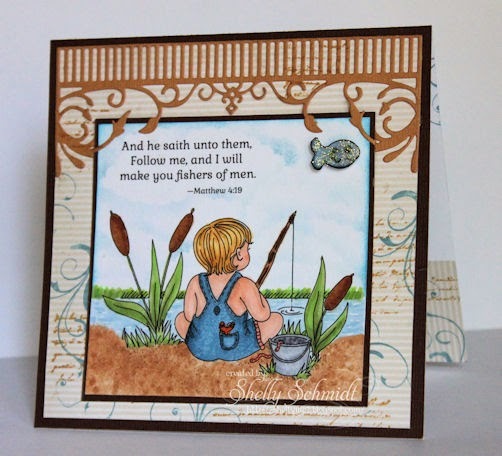 The Design Team created with another *New Release* I used a set called Jacob Fishing. I colored the image with Copics- and Sponged in the sky with Spots Tidal Wave and Nassau Blue. On the sand and for the overalls, I used 'Copic texturizing' with the Copic '0' and an old towel. I added some white Signo pen lines in the water. 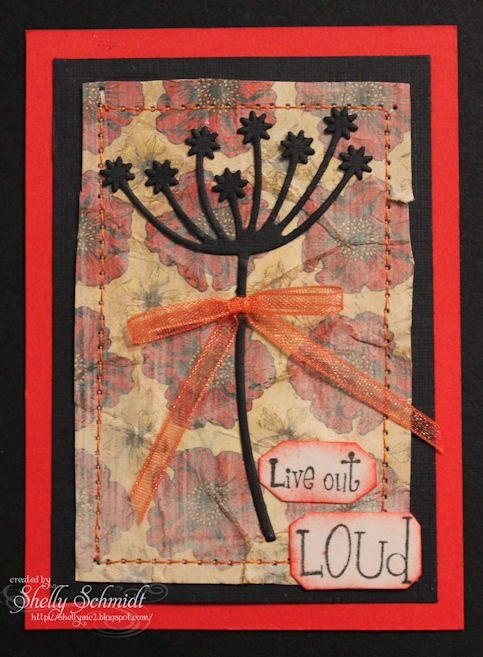 I had a piece of DP - wrong color of course- I loved the pattern of swirls and text on it, so I used Sweet Stamps Swirls and Written Text to add similar accents. 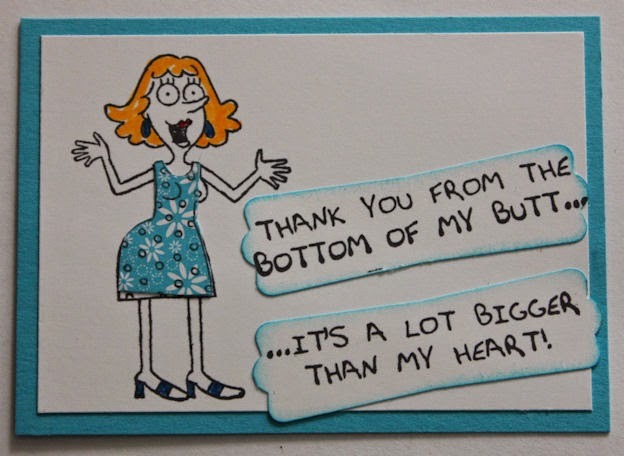 I added a strip of this on the inside of the card as well.